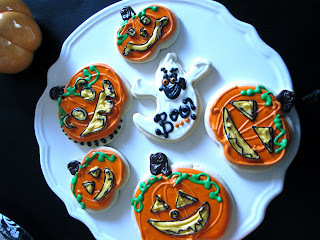 These super cute Halloween Cookies are cream cheese sugar cookies with royal icing, and white & regular chocolate details! They are super moist and dense! 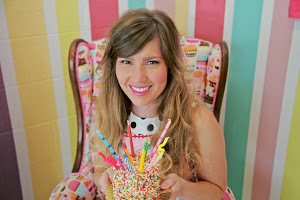 These Birthday Cupcakes are just as fun to eat as they look! They are Chocolate Chocolate Chip with Buttercream icing and Sprinkles galore! They are topped with non-pareils! 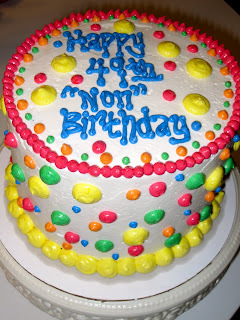 These sweet treats were made for the "non" celebration of a "non" 49th Birthday! The cake is a 6" Chocolate Chocolate chip with chocolate whipped cream filling and buttercream frosting/detail. The cookies are moist and delicious chocolate chip with festive candy coated mini chips on top!! 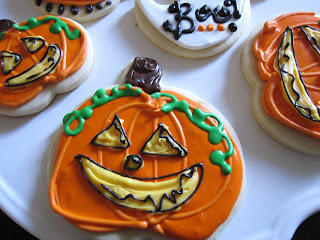 We loved the cookies! I just heard from my neighbor and they had the cake last night. She said it was the best cake they ever had. 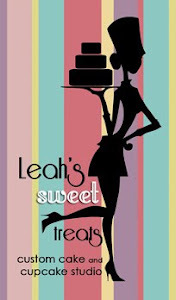 She is going to tell everyone she knows about your services"
These Pumpkin Cupcakes have soon become one of my personal favorites. They are absolutely delicious and one of the most moist flavors I have created! 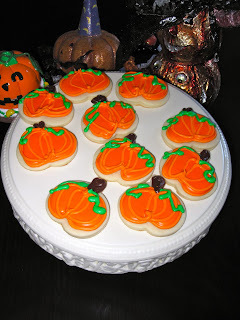 They are the perfect for fall and of course Halloween celebrations. They have a light and fluffy cream cheese frosting that absolutely melts in your mouth!! 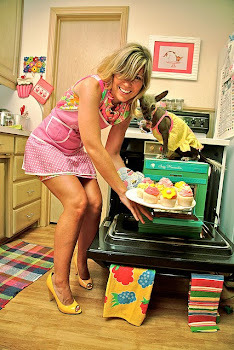 I just wanted to say thank you for making my exquisitely delicious cupcakes for my birthday! 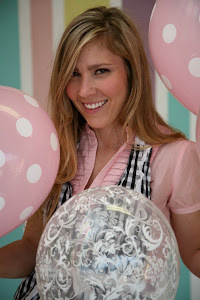 It was such a special treat….and by far the best cupcakes I’ve ever had!! The pumpkin flavor was so perfect and so freaking moist and what could be better than cream cheese frosting? More cream cheese frosting. J Thanks so much for all the effort you put into those, it was GREATLY appreciated. These mini cupcakes were made for an AuPair Care function for Moms who have or are expecting twins! Each mini has it's own twin :) They are "white on white"- white cupcakes with buttercream frosting and sugar sprinkles. This Wedding Cake was made for two Southwest Flight Attendants that had just gotten married on the plane! The cake was covered in buttercream with fondant detail, and the carved airplane was made out of rice krispy treats covered in buttercream & fondant! 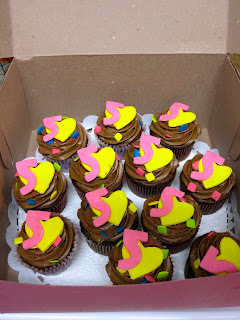 They were chocolate chocolate chip with chocolate buttercream, confetti sprinkles, and fondant detail! I just wanted to tell you how delicious the cupcakes were. Ali loved the "5s" and the dense, moist, melt-in-your mouth, cake was phenomenal. I will definitely pass the word around to my "mommy" network in Lamorinda."